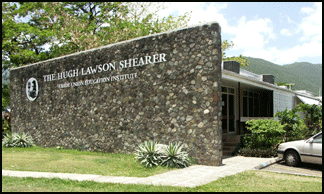 The HLSTUEI is a unit within the Consortium for Social Development & Research (CSDR) of the Open Campus, UWI. The units of the Consortium are the Caribbean Child Development Centre (CCDC), the Hugh Lawson Shearer Trade Union Education Institute (HLSTUEI), the Social Welfare Training Centre (SWTC), the Women and Development Unit (WAND), the Human Resources Development Unit (HRDU), and the yet-to-be- formed Cultural Studies Unit (CSU), and Radio Education Unit (REU). Each unit engages in its individual unit activities, but with increased collaboration and cooperation with the other sister units. The main aims of the CDSR are to contribute to the social development of Caribbean societies, strengthen the human potential of citizens and promote the University of the West Indies, especially in non-traditional areas, through research, training and education, curriculum development, development projects, technical assistance, information management and community outreach and public service.